Autograph prices can skyrocket after an icon's death. The latest example is the surging demand for Neil Armstrong's signature. It has delivered the kind of return that every investor yearns for, doubling in value in just two weeks. But it isn't a hot new public offering or a company coming off a stellar earnings report. 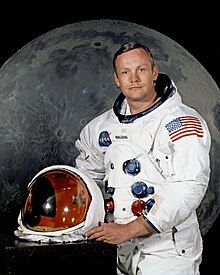 It is Neil Armstrong's autograph. Since his death on Aug. 25, demand for anything signed by the first man to walk on the moon has surged, with asking prices climbing by as much as 100% to $10,000 for an autographed photo, according to dealers. And that surge has sparked an admittedly morbid discussion over how the passing of a well-known figure influences autograph and memorabilia prices. Sources: Wall Street Journal, NASA, Wikipedia.org .